Think and Grow Rich is definitely worth a read, just make sure you see it from the context it was written, in a world far different from the one we live in today. Think and Grow Rich is a self-improvement classic; it is right up there with ‘How to Win friends and influence people’. I must have read this book for the first time about 15 years ago, just after I’ve started reading. It was an amazing read again after such a long time. Some of the things he suggests one does in the book, I have been doing for years, only to realize now where I’ve learnt it from. 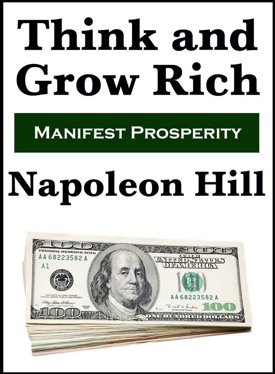 In Think and Grow Rick Napoleon Hill sets out to teach you ‘The Secret’ to amassing great wealth. He was inspired or rather guided to do this by Andrew Carnegie, one of the wealthiest guys in the world at the time. Hill went on to learn from many titans of industry at the time including Thomas Edison, Henry Ford and others. The setting of the book is also fascinating. After two decades of research the book was published in the late 1930s’, after the great depression but before World War 2. This context makes some of the comments in the book even more fascinating. What is also very interesting is some of the parallels to our own time. Like Hill’s reference to how the public has lost confidence in the banking business, or the lack of real leadership in politics. He also got a few things wrong like he predicted that newspapers would need to find a way to stop depending on advertising revenue and also, newspapers that focus on publishing scandals will not survive. Although I’ve found the unrelenting focus on only money in the book a little too much, the world these ideas were conceived in, explain it rather well. But I am sure the techniques and thinking are applied to many other endeavours today. This entry was posted in Book Reviews, General on 2013/07/03 by Justinus.